Indian Hills Subdivision in Louisville | Joe Hayden Real Estate Team - Your Real Estate Experts! As residents of the Indian Hills Subdivision gaze around at the lush landscaping bursting with native Maple, Oak, American Linden, Redbud, Sycamore and flowery Dogwood trees, they are reminded of the wonderful heritage of the area. 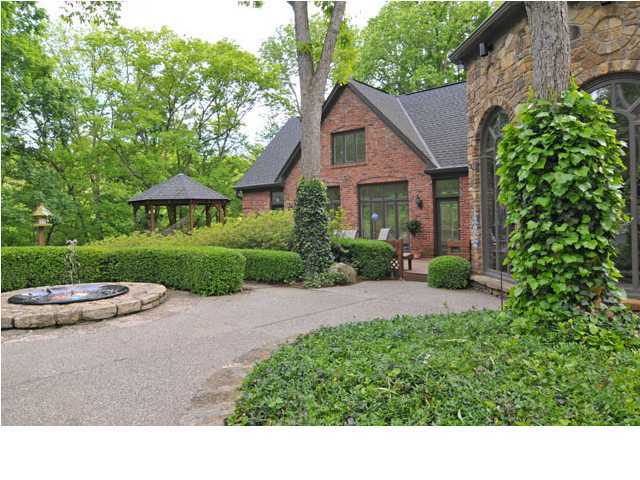 Further recognition of soothing scents like honeysuckle, barberry and mock orange bushes will remove any doubts that the subdivision is a unique getaway located in Louisville, Kentucky. Well over a century ago in 1872, Indian Hills was residence to some of the finest trotting horses ever to grace Kentucky's bluegrass, according to reputation. R.S. Veech owned the renowned Indian Hill Stock Farm and was the second largest producer of fine equestrians in the state, containing approximately 60 brood mares and provided the old Lexington Trot meets with many a winning mare. The beautiful community of Indian Hills today is small enough to maintain that neighborly feel with just under 1,200 homes. However, being located only seven miles northeast of downtown Louisville, residents benefit from convenient access to all areas of the city for work and play. The community itself was granted the label fourth class city in 1999 and governs itself for community issues. The subdivision of Indian Hills offers residents an almost magical environment filled with natural flora and fauna that seem a world away from Louisville. The community members that come together in celebration as a neighborhood of families are what make Indian Hills a home.